Craniosacral Therapy is helpful for a variety of pregnancy discomforts. It can help improve mobility in a pregnant body so babies can assume ideal positions for an easier birth. Postpartum CST helps restore balance in the body. It is especially helpful for people who are recovering from a cesarean birth. Class clinics are held in conjunction with a Craniosacral Therapy for Pregnancy Birth and Postpartum classes and MamaSpace Yoga® Prescriptions classes. We have openings for supervised student practitioner treatments. Superstar perinatal CST practitioners treat pregnant and postpartum people at community clinics. We treat people who are in any stage of pregnancy up to eight weeks postpartum. You must make an appointment in advance. Email Carol’s office for an appointment. Superstar CST practitioners volunteer their time at this clinic. Email Carol’s office for an appointment. Because this clinic is dependent upon volunteer practitioners we can’t confirm appointment times until a few days in advance of the clinic. When you request an appointment we will place your name on a list. We will schedule appointments in the order in which the requests are received as practitioners confirm their availability. 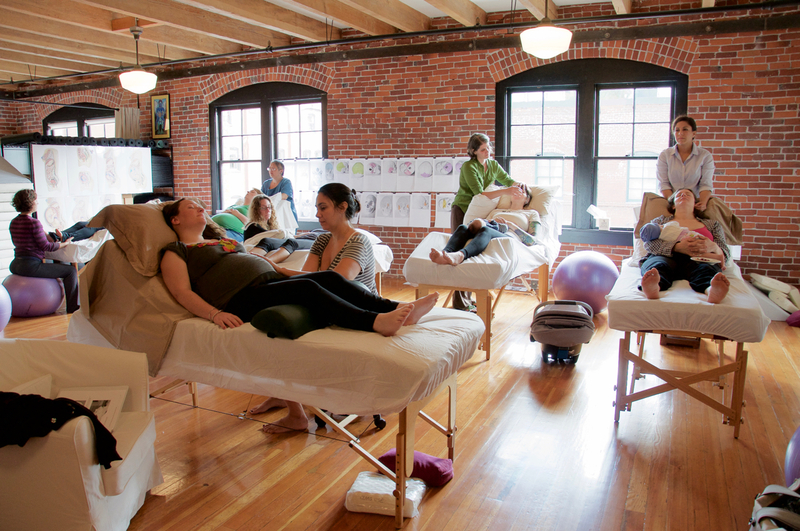 This free clinic is held in conjunction with Carol Gray’s Craniosacral Therapy for Pregnancy Birth and Postpartum – Advanced Clinical Skills class. Pregnant and postpartum people will receive free Craniosacral Therapy treatments from advanced practitioners under Carol’s supervision. Appointment times vary. Email Carol’s office for an appointment. This free clinic is held in conjunction with Carol Gray’s Craniosacral Therapy for Pregnancy Birth and Postpartum class. Pregnant and postpartum people will receive free Craniosacral Therapy treatments from student practitioners under Carol’s supervision. Email Carol’s office for an appointment. This free clinic is only for pregnant people. It is held in conjunction with the MamaSpace Yoga® Prenatal Prescriptions class. Pregnant people will receive free Craniosacral Therapy treatments from student practitioners under Carol’s supervision. In addition to free Craniosacral Therapy treatments, pregnant people will receive a personalized yoga take-home prescription. Email Carol’s office for an appointment.